Available in 28mm or 30mm bore sizes to help reduce clutch lever effort on most late model Ducati motorcycles. Fits most models with hydraulic clutches, including the 749/999 and 848/1098 machines. 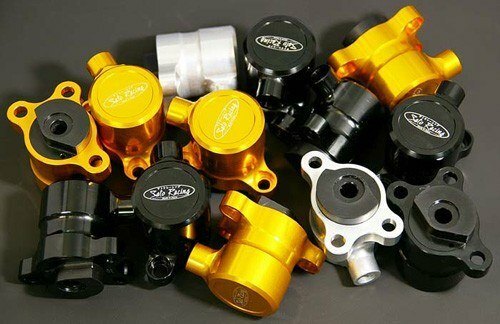 Choose from gold, silver, or black anodized to best match your machine.